Oscar Snubs 2011: How did 50/50 fall off the radar? The night before the announcement of the 2011 Oscar nominations, I said I’d all but give up on the already pointless ceremony if the Academy failed to surprise at all. Unfortunately, their surprises came at the expense of some far more deserving films, performances and technical achievements, namely the following. 50/50 couldn’t beat the odds. Release dates don’t seem to matter as much these days, at least for certain films in the season. Take MIDNIGHT IN PARIS and TREE OF LIFE, for instance, two movies released last summer that managed to maintain momentum and scrape their way into the best picture conversation. A film with some big stars that scored a 48 percent rating on Rotten Tomatoes is up for the top prize, which has nine contenders. Why not just make it 10? I realize BRIDESMAIDS, THE GIRL WITH THE DRAGON TATTOO or even DRIVE might have filled that final slot, but why not 50/50? Did its September release and so-so box office do it in? I don’t buy the argument that people don’t want to laugh at cancer. The film is an engaging dramedy with enough stars to raise Academy members’ eyebrows, yet the only thing it might have mustered was maybe a consolation screenplay nod. After another watch, it deserved recognition for picture, screenplay, actor (Joseph Gordon-Levitt), supporting actress (Anjelica Huston) and, yes, supporting actor (Seth Rogen). Despite its 93 percent rating on RT, maybe its $35 million domestic gross was the nagging injury that kept it off the playing field. Regardless, no film in 2011 was more emotional and honest with itself by asking difficult questions about life while maintaining its sense of humor, something you rarely see in film. Last year’s best original score winners for David Fincher’s THE SOCIAL NETWORK equaled and might have topped that effort with their hauntingly moody work on THE GIRL WITH THE DRAGON TATTOO. Along with Cliff Martinez’s CONTAGION score (also deserving, but without a realistic shot), Reznor and Ross’ score was easily the most unique music you probably heard in films last year, and it’s simply a wonder it missed the cut. While I definitely dug John Williams’ light and fancy free cues in Steven Spielberg’s THE ADVENTURES OF TINTIN, the legend got a second and much more deserved nomination within the category for WAR HORSE and simply didn’t need another. Make room for a score that actually deserved it. Fishy snub here. What, THE ADVENTURES OF TINTIN’s mo-cap not animated enough? Some way, somehow, Steven Spielberg was getting an Oscar this year, whether it was for his sprawling and sentimental WW1 epic WAR HORSE or a nice honorable mention trophy for his venture into motion capture animation TINTIN. Before the announcement, the consensus was that the category would come down to it and Gore Verbinski’s deserving RANGO, and that’s fine. MONSTER HOUSE remains the only mo-cap movie to score a nomination, and it lost out to HAPPY FEET. Mo-cap films are eligible for the category, so the only conclusion you can really draw is that Academy voters just don’t dig the format. Either way, TINTIN was deserving, and it’s a shame it wasn’t invited. Folks criticize Spielberg’s drama for its sentimentality and forced emotional moments. Say what you want about the rest of the film, but newcomer Irvine doesn’t force a single beat in a performance that serves as the glue of the film, even more so than the horse every character encounters. In several gut-wrenching scenes, Irvine’s humble Albert takes the often-unlucky hands he’s dealt throughout and earns his good fortune. Even when he accepts, time after time, that he’ll lose what he loves most, the young Albert takes it like a man, and Irvine’s earnest portrayal earns acting MVP honors among a talented ensemble his first time out of the gate. Some felt Albert Brooks missing the supporting actor cut was the most egregious snub at all, but I didn’t find myself all that bothered by it, especially after the comedian’s veiled hissyfit he threw on Twitter. Other than Nicolas Winding Refn’s deft direction, the main attraction here might be Newton Thomas Sigel’s gorgeous sun-baked compositions that capture a Los Angeles I’ve never seen on film. Be it a driving sequence or one of those helicopter night shots of the city, Sigel’s camera is always up to something pretty extraordinary. Ben Kingsley the year’s best-kept acting secret? Few want to spoil the magic found down the stretch in Martin Scorsese’s wonderful HUGO, much of it having to do with Kingsley’s mysterious train station shop owner. Good on folks for keep the secrets of such a rich and rewarding story, but I hope it wasn’t too tightly concealed so that Kingsley’s performance was ignored as a result. Who will win the supporting actor category has become a foregone conclusion (congratulations, Christopher Plummer), but I find the race easily the most boring of the year. I thought HUGO’s momentum, which garnered a 2011-high 11 nominations, would earn just one more for the reliable Kingsley. They give them out every so often, usually for visual effects, so Serkis’ motion capture performance should be no exception to that tradition. His work in the LORD OF THE RINGS films, KING KONG and TINTIN certainly display the magic this man is capable of creating, but his mo-cap masterpiece might be his work as Caesar in RISE OF THE PLANET OF THE APES. I’m sure had most people walked into that movie without the knowledge that Caesar wasn’t played by Serkis, they might have guessed it was an enhanced real chimp or a complete CG creation. Serkis immerses himself into the movement of these creatures with impossible ease, but the strengths of Caesar are in his facial ticks and contemplative behaviors as he learns his place in a human-dominated world. Serkis is a movie marvel. When someone or something comes along in the medium that cannot be equaled or properly rewarded with a “regular” Oscar, it’s only right to recognize them with a Special Achievement Academy Award. Consider this a missed opportunity. The best actress category was stacked, sure, but few performances were talked about more than Olsen’s in Sean Durkin’s eerie and powerful debut MARTHA MARCY MAY MARLENE. Fighting an uphill battle off-screen with the stigma of being one of those Olsen sisters, this young actress showed the film world she’s here and means all kinds of business. One of the quieter, more unpredictable performances of the year, battling with 2010 nominee John Hawkes (who might have deserved another nod), Olsen’s captivating work was sadly overlooked. When the Academy nominates a performance of true greatness it will feel immortal. Corey Stoll gave a good performance because it was an honest performance, and it deserves attention. And there is nothing fine and noble about this snub unless he was snubbed gracefully. And then it’s not only a noble snub but brave. Actually, it was more ludicrous and forgetful. Relative unknown Stoll, ahem, stole Allen’s movie from every other star in the cast with quiet and commanding lines that worked their way into hilariously thoughtful monologues inspired by Hemingway’s sincere and simple prose. If anyone gets Hemingway, it’s certainly Allen, but Stoll proved he was more than just an impersonator. 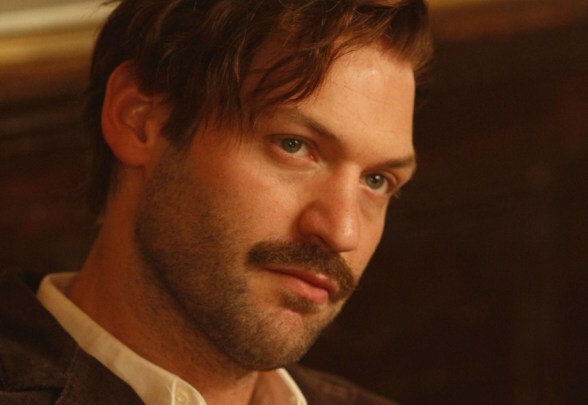 This man was Hemingway, and if there’s ever a biopic, we’ll settle for nothing less. All cowardice comes from not nominating and not loving well, which is the same thing. And anyone who disagrees has never made love to a truly great woman. Who wants to fight?! And for good measure, let’s throw Adrien Brody’s brilliant three-minute turn as Salvador Dali, maybe his best work since THE PIANIST and easily one of the film’s best scenes. Charlize Theron actually a monster in the underrated YOUNG ADULT. The Oscar-winner and two-time nominee gave arguably her best performance (since CELEBRITY maybe?) in Jason Reitman and Diablo Cody’s frightening and funny depiction of a sociopath working as an unstoppable force in her quest to destroy the lives of others in her small Minnesota hometown. Mavis Gary is one of 2011’s richest, most complex and fully realized characters, and Theron is delightfully despicable. Although the best actress race is jam-packed this year, nothing suggests Theron doesn’t belong in the mix. It’s a rare talent when actors, thanks also to direction and dialogue, can make an audience just cringe, and she brings it in that regard on several occasions, namely when she meets her ex-boyfriend and his wife in their home prior to a dinner and reminisces over wearing his old T-shirts and boxers. The film and the character, no matter how hilarious they are at times, are ultimately disturbing, especially when the audience has the revelation that nothing was learned. Prestige projects carry the burden of expectation and rarely deliver everything they could, but that doesn’t mean there is nothing to savor each go-around. In George Clooney’s regrettably ordinary political melodrama THE IDES OF MARCH, Hoffman lent the film a particular gravitas it seemingly lacked everywhere else. Not to say the other actors (namely Paul Giamatti) didn’t do their best with Clooney and co-writer Grant Heslov’s slight script, he simply rose above them all with some much-needed honesty. And while most of the dialogue and plot felt heavy-handed and cliched, credit the writers for giving Hoffman some dank fat to chew on, especially when he lays in to Ryan Gosling’s conniving political prodigy in a hotel room. Felt like Hoffman got lost in the fold when this came out and the critics singled out other performances for whatever reason. I guess guys like him suffer when we expect it from them. That damn burden of expectation.